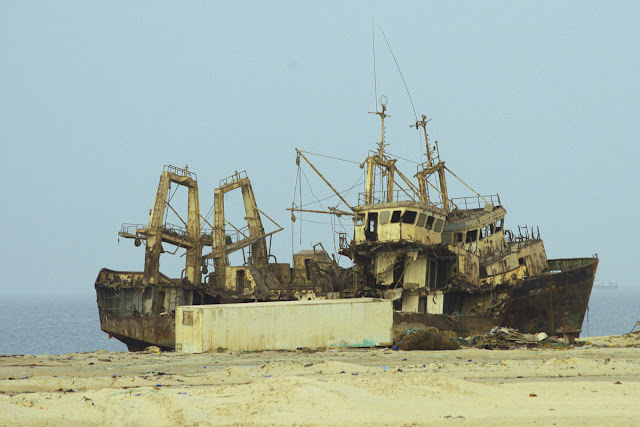 The city of Nouadhibou (Arabic: نواذيبو‎) is the second largest city in Mauritania and serves as the country's commercial center.It is famous for being the location of one of the largest ship graveyard in the world. 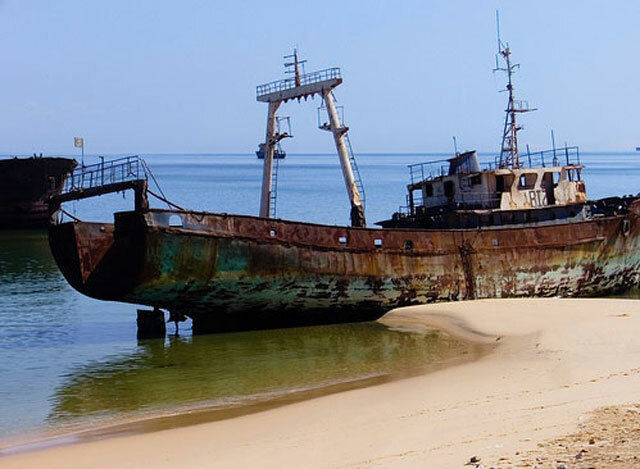 Hundreds of rusting ships can be seen all around, in the water, and on beaches. 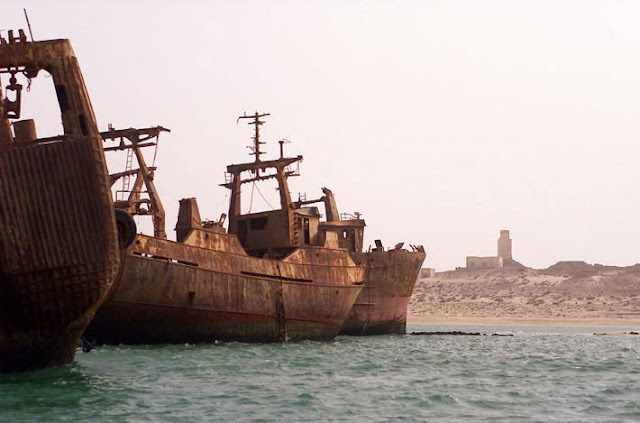 This phenomenon started in the 80's after the nationalization of the Mauritanian fishing industry, numerous uneconomical ships were simply abandoned there. 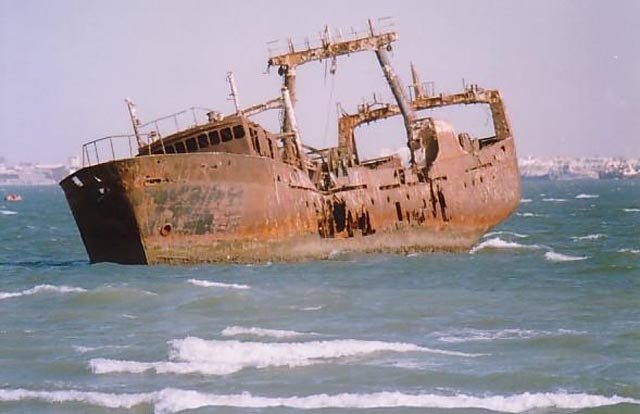 I'm guessing that foreign ship owners later found very convenient to get rid of their old vessels in the bay. 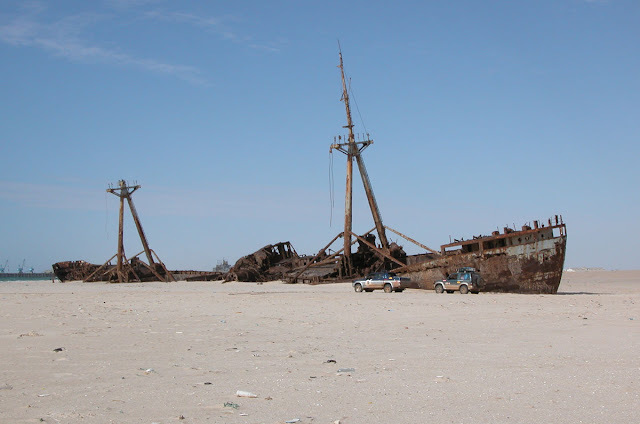 My feeling balances between anger and amazement by the sight of those rusted skeletons Amazement for the dreamy vision, anger for the ecological and social disaster. la première image me fait complètement flipper..
@ Ben2go. It is very sad indeed. 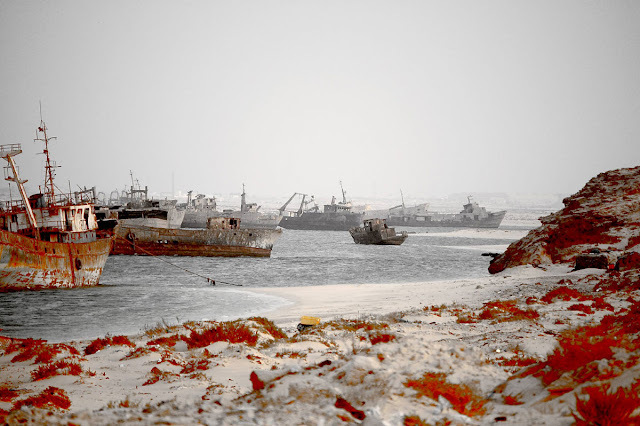 Not sure if the boats could have been saved, they ended up here probably because they were to old to be profitable. sad that recycling them as scrap metal isn't seen as profitable and that leaving them to rust away is considered the acceptable solution.. 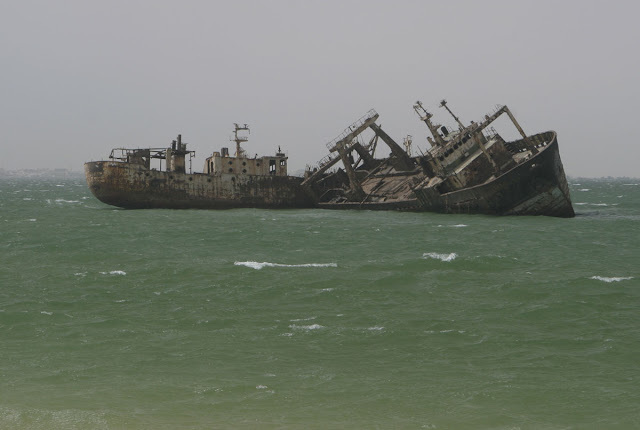 I am unclear as to whether these ships were drained of any toxic chemicals, oil etc, before being left here. If they were, why is this a hazard? And if they were drained, why did they not sink them to create new underwater habitats for marine life? 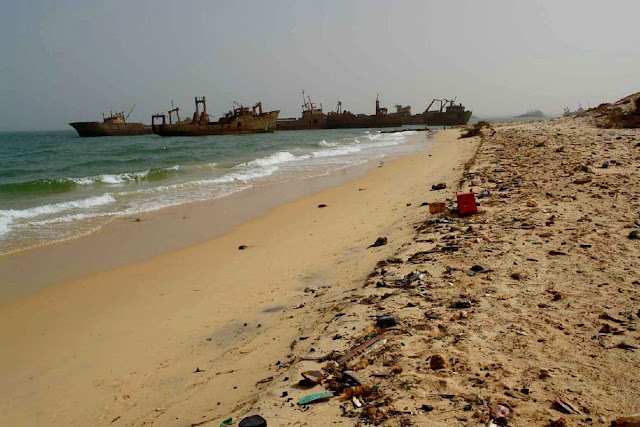 If they were not drained...who in their country would be accountable for such a travesty to the environment? Why is it an ecological disaster? At least their not out polluting the ocean air or spilling contents into the ocean. I'm sure they were stripped before abandoned so some little fishies probably made nice little homes inside the hulls of some. 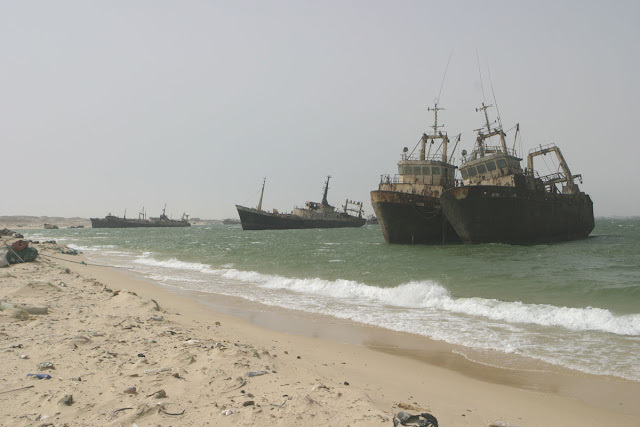 If those boats were worth anything, no one would have scuttled them. (Trust me, fishing companies will convert anything if they think they can make a buck.) The locals really missed the boat so to speak. 3 years ago when the price of scrap was 90 dollars a ton, they could have made some cash. The ships would have been bridges and skyscrapers in China. 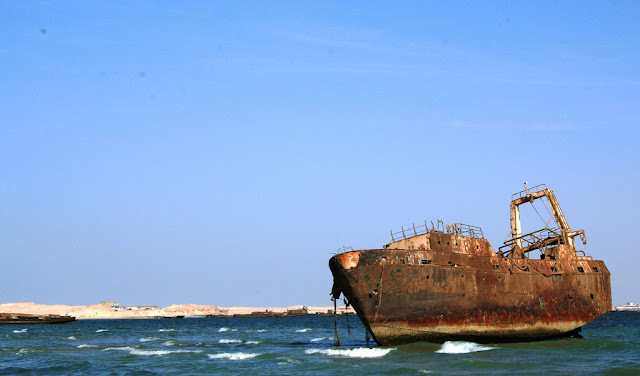 the real shame is, i served on one of those vessels and i know it is still contaminated with radioactive wastes, no one will break it because they can't clean it up. 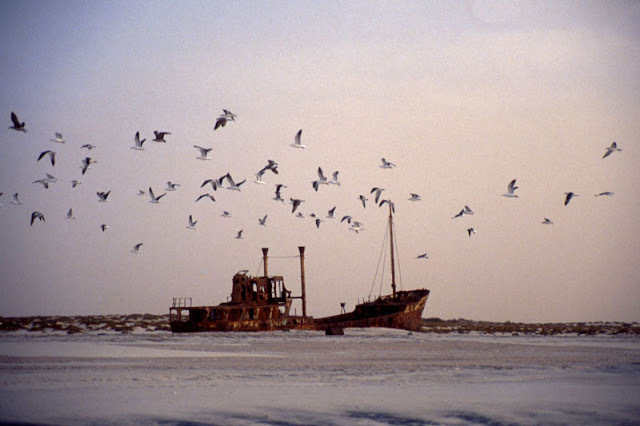 and mr. owl, many of these ships CAN be profitably scrapped for steel and iron, but nobody really cares. It would be really nice to know the history of those ships.